Wairarapa-Bush coach Joe Harwood says his team are keen to “set the record straight” when they take the field for their first home match of the Heartland Championship today. Wairarapa-Bush will host Thames Valley at Memorial Park in Masterton [2pm], with both teams chasing their first win of the season. 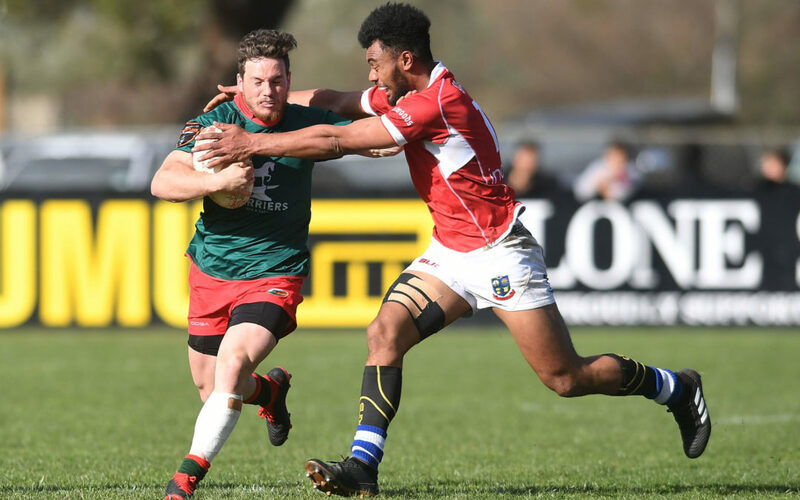 Poverty Bay scored in the dying moments to beat Wairarapa-Bush 27-22 in Gisborne last week, while Thames Valley went down 25-27 to West Coast at home. Harwood said the loss was a hard one for his players to take. “The boys were still pretty disappointed at training the other night with some of the hard lessons we learned at the weekend. Harwood has made five changes to the starting team for today’s match, as well as two positional switches. Sam Gammie comes in at loosehead prop after missing last week’s match, while Max Tufuga shifts from loosehead to tighthead, with James Pakoti dropping out of the match-day squad. Andrew Smith replaces Lachie McFadzean at lock to partner captain James Goodger, while Tavita Isaac has come in at blindside flanker in place of Sam Shaw. In the backs, Tipene Haira comes in at second five with Mike Lealava’a shifting out to centre, and Matt Henderson moving to the bench. Nick Olson also gets a start on the left wing, replacing Thomas Potoru who is on the bench. Gladstone halfback Inia Katia will once again start at fullback, after impressing with his performance there last weekend. “He had a massive game last week and he turned over some crucial ball of theirs as that last defender,” Harwood said. Skill execution and effort on defence were two of the key work-ons this week, and Harwood was confident they would show improvement in those areas today. “They know they’re there or thereabouts, but just need to be more clinical. “Whilst the handling was pretty good, some of the passes didn’t go where they should have. Harwood said they were unsure what to expect from Thames Valley as they had not seen any footage of last week’s match. “We know nothing about Thames Valley at all – we’re going into it a bit blind, so we’ll just concentrate on our shape. The curtain-raiser to the match will be the Wairarapa-Bush Development team taking on Wellington Maori at 11.30am. Inia Katia, Tristan Flutey, Michael Lealava’a, Tipene Haira, Nick Olson, Glen Walters, Paddy Gluck, Kirk Tufuga, Marcus Ale, Tavita Isaac, Andrew Smith, James Goodger [c], Max Tufuga, Nicholas Hohepa, Sam Gammie. Reserves: Lance Buchanan, Jeramiah Mapusua, Lachie McFadzean, Ryan Knell, Epeli Rayaqayaqa, Matt Henderson, Thomas Potoru.